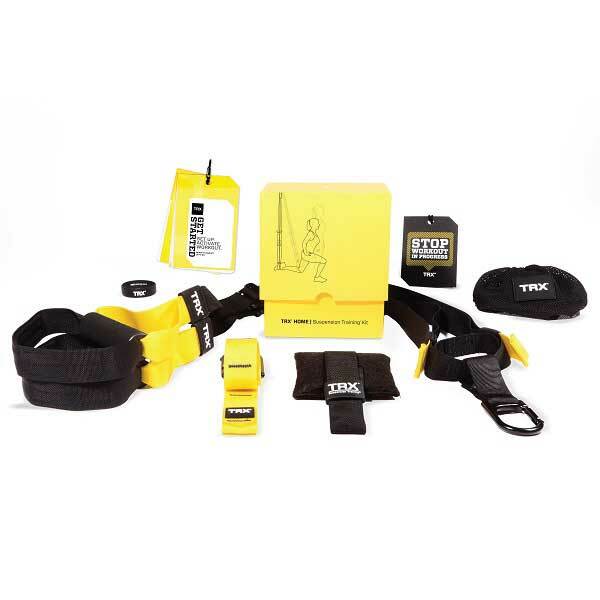 With the TRX Home Suspension Training Kit you can workout anywhere with this lightweight, portable and scalable training system to earn the results you want on your schedule. 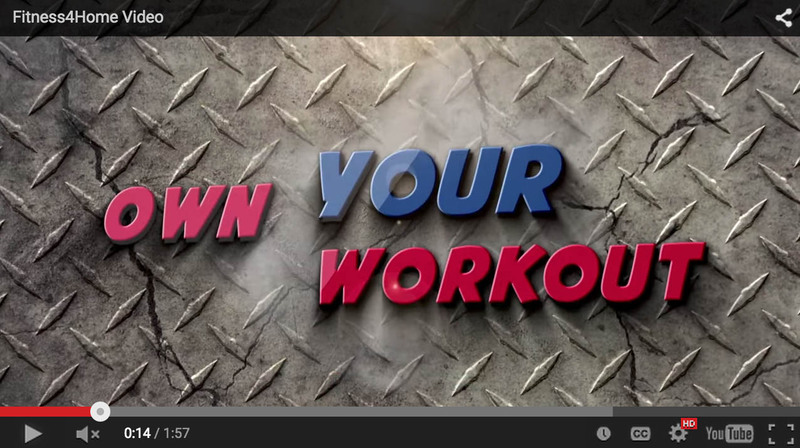 A Instruction guide is included to get you started and workout cards to keep you going. 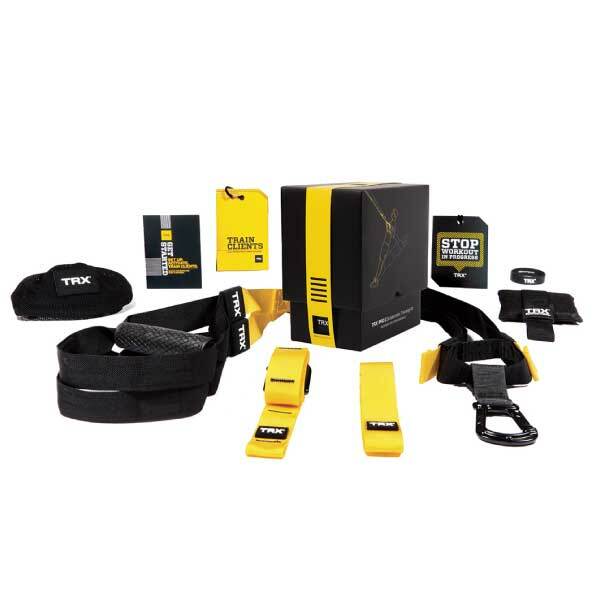 With the TRX Pro Kit you can workout your clients anywhere with this lightweight, portable and scalable training system to earn the results you want on your schedule. The SPRI Pull-Up Assistor is a 3-band system that provides pull-up assistance and promotes optimal form. An excellent tool to help you reach your full potential. 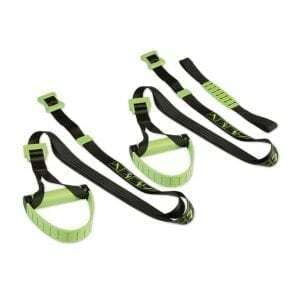 Includes 3 pull-up bands, a nylon bar strap, and locking carabiner. 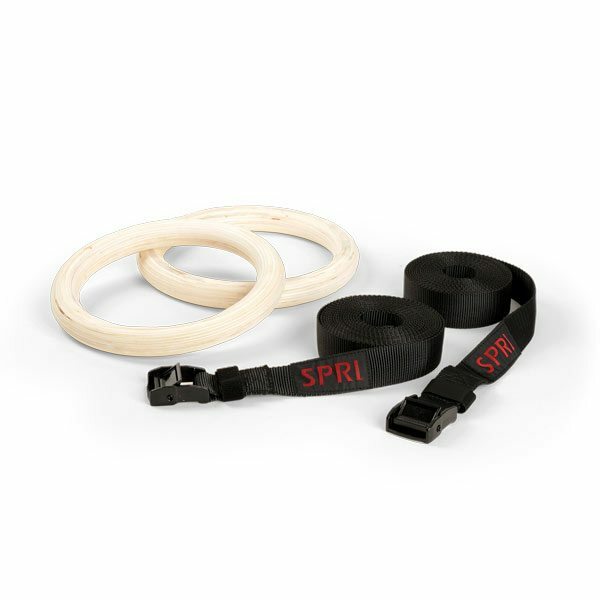 The SPRI Wood Ring Set increases upper-body muscle stamina, power and stability. Multi-laminated, hardwood rings are great for performing muscle-ups, L-sits, pull ups, dips, pushups and more. 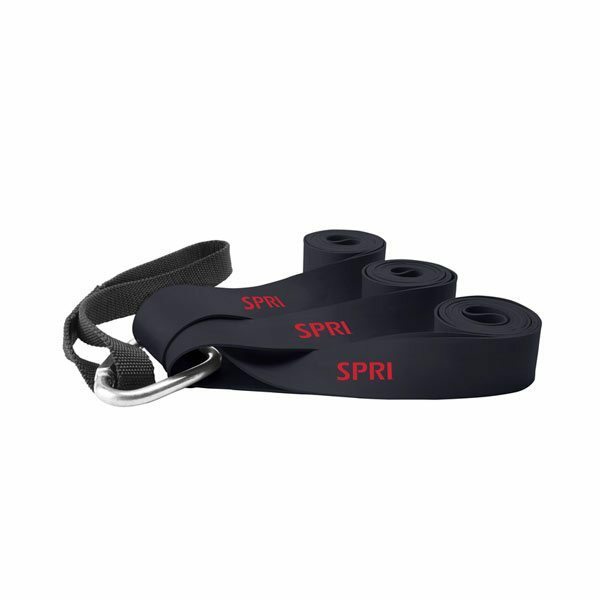 If you looking to start calisthenics workouts with parallettes, or are trying to do crossfit parallette handstand push-ups – SPRI Parallettes are the perfect tool. 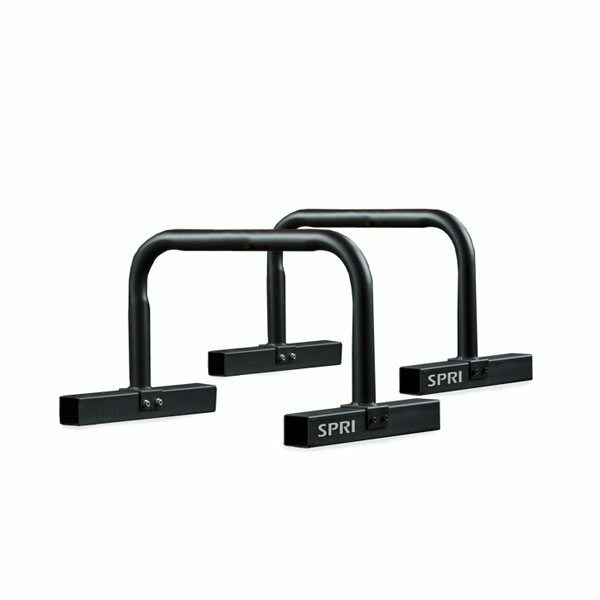 Build strength quickly by performing bodyweight gymnastics style exercise moves with SPRI Cross-Training Parallettes. 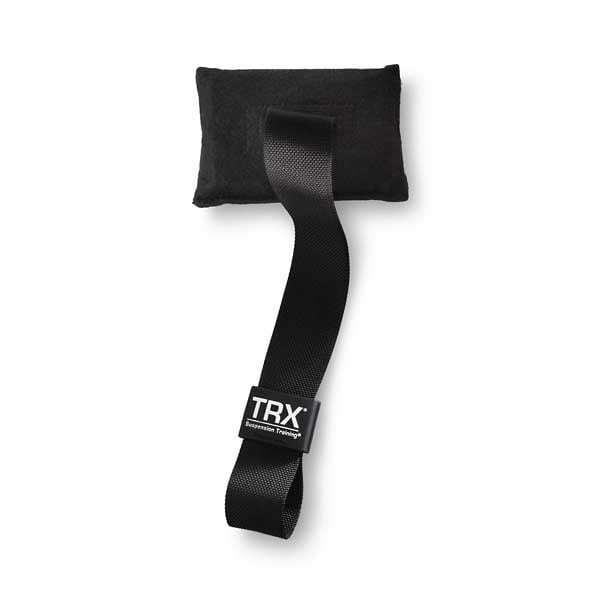 Prism Fitness Group – Smart Straps, feature 12 self-guided exercises printed directly on the straps for easy reference. Portable and easy to use! 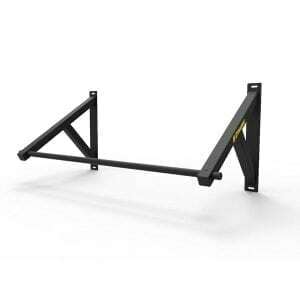 The Prism Fitness Group – Wall Mounted Chinup Bar features a unique wall-mounting system, designed to adapt to standard and non-standard stud and anchor spacing without sacrificing quality or value. Bodyweight training (or strength training exercises that do not require free weights or machines) is a great way to improve overall strength, flexibility, endurance, and power – and can also be a great way to burn major calories. Additionally, body weight exercise equipment can provide an easy and convenient way to get your workout. 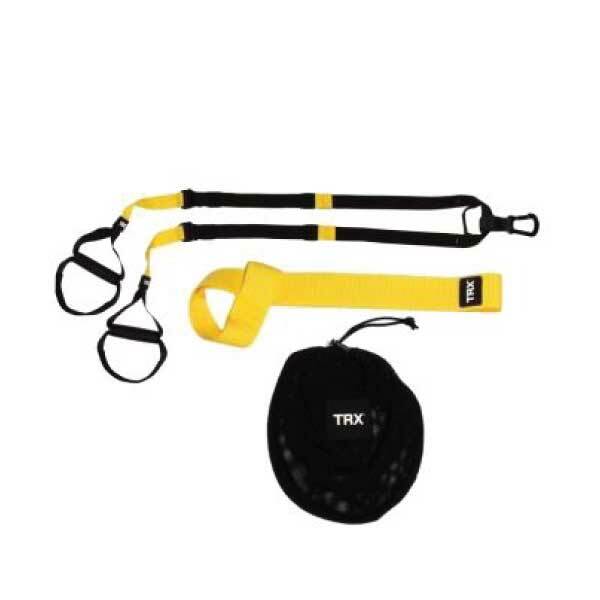 For example, TRX Suspension Training Systems can be an excellent strength and flexibility tool to pack with for travel, allowing you to continue your workouts while away from home. Additional hanging tools from SPRI, such as hanging ab straps and pull up bars, allow you to work upper body and core strength in the comfort of your home or apartment without taking up valuable floor space. At Fitness 4 Home Superstore, we carry a variety of bodyweight training equipment from SPRI and TRX – come into any of our 3 Phoenix area stores to experience our full collection!